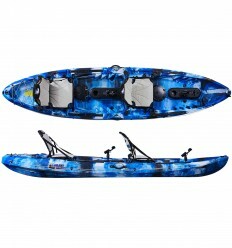 The new Galaxy Cruz Pro Angler is the latest version of our most popular fishing kayak line. 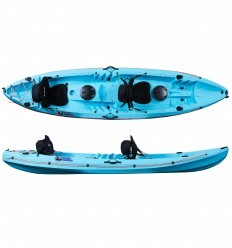 This new sit on top kayak comes even more equipped. 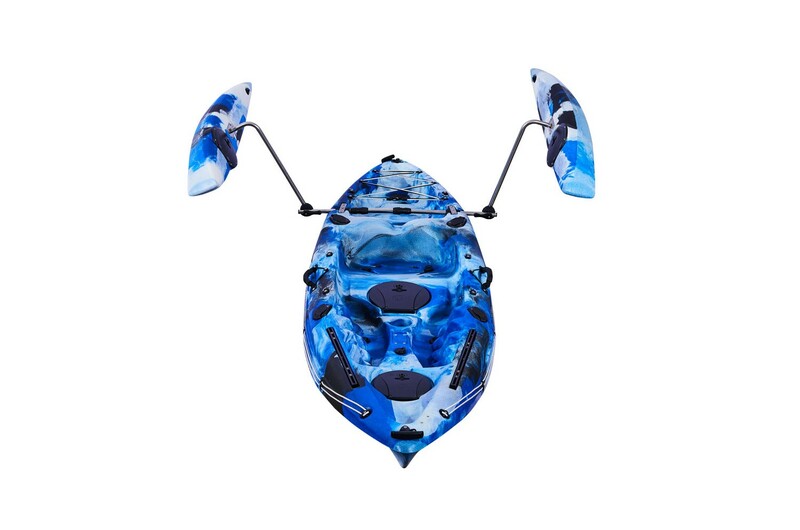 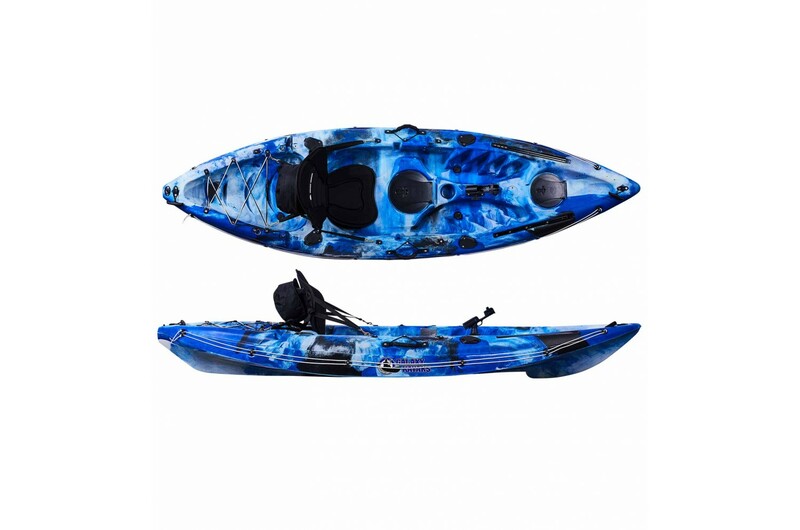 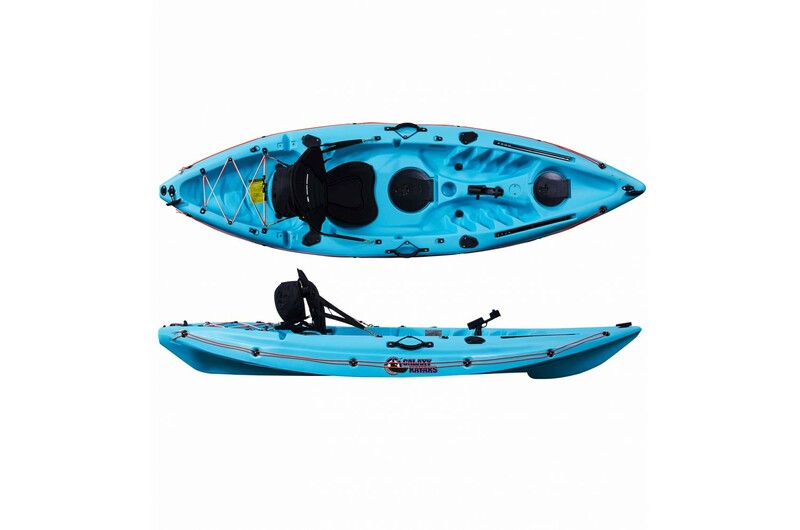 The Galaxy Cruz Pro Angler comes with side rails, a comfortable high seat option, a larger transducer compartment with a protective cover included and a selection of coloured bungees & lifelines that allow you to personalise your kayak. 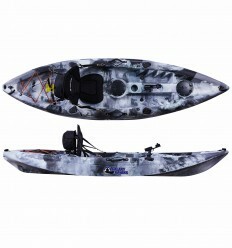 The Galaxy Cruz Pro Angler kayak has been designed to accommodate every need of todays kayak fisherman. Whether you are just starting out or are experienced, the Galaxy Cruz Pro Angler comes equipped for any occasion. 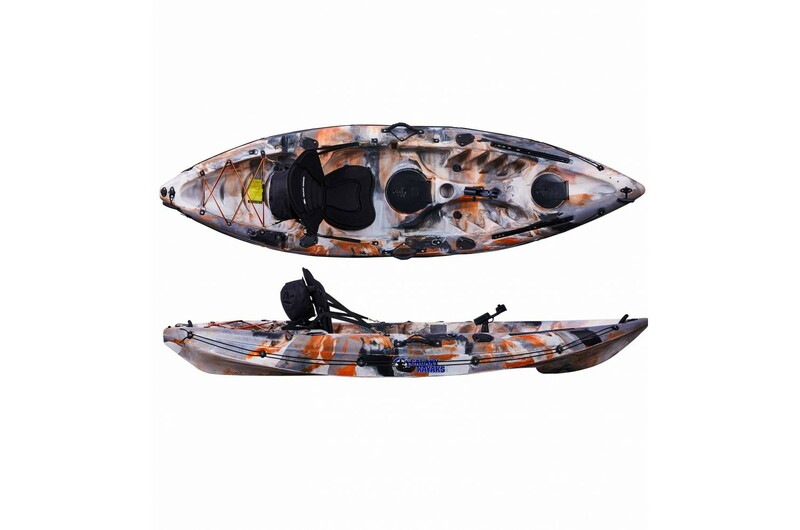 This kayak is designed to maximise stability with its 82cm width and specially designed flat bottom and angled edges, which helps maintain stability even when reeling in the most strenuous fish. 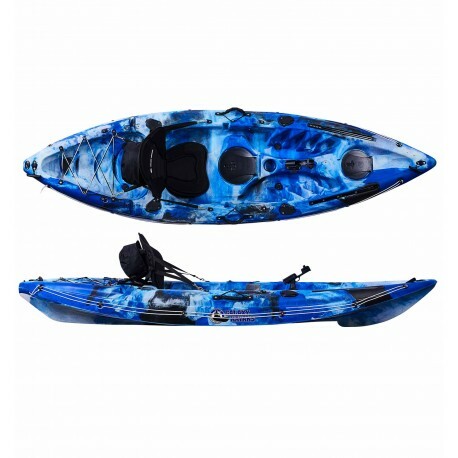 Even though it’s a shorter kayak, the Galaxy Cruz Angler still maintains a good cruising speed thanks to its sharp front keel and V-shaped stern, along with it hydrodynamic hull that have all been designed to make it a smooth and easy ride. 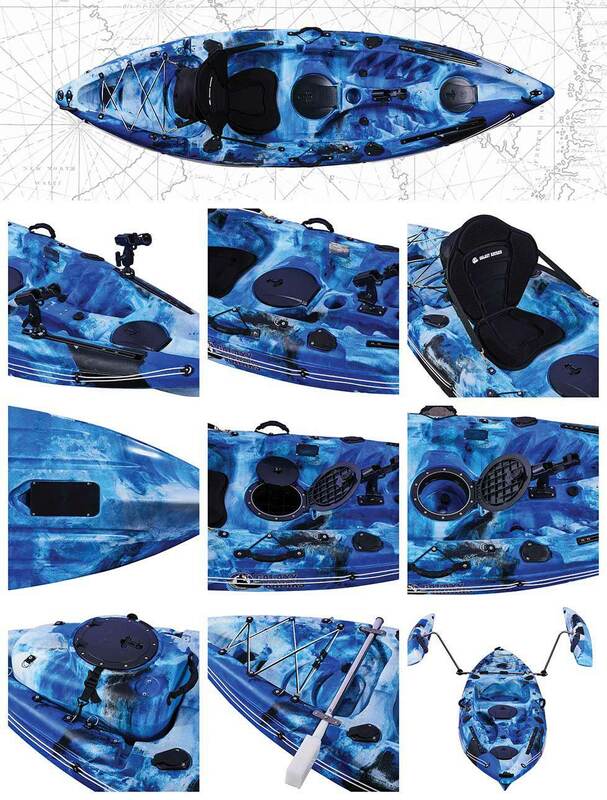 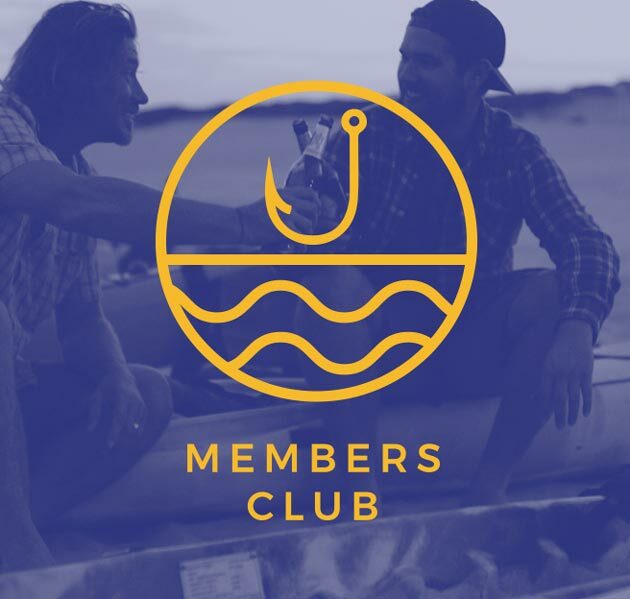 The new Cruz Pro Angler comes with some fantastic new upgrades that have all been added this year thanks to the constant feedback we have received from you. 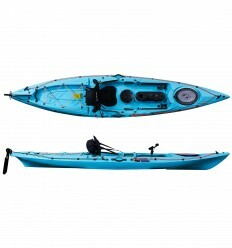 These include two rails positioned at the front of your kayak on either side of the cockpit. 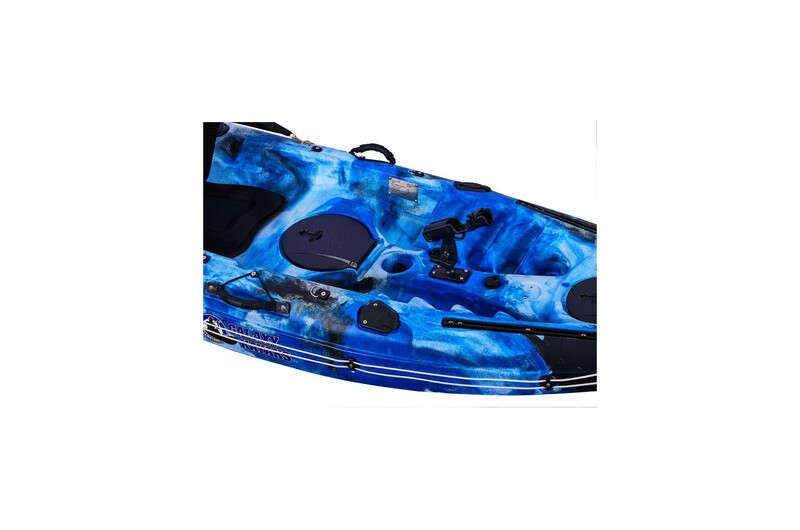 These are ideal for placing a huge variety of accessories such as raiblaza Rail mounts, rod holders, camera booms and even your fishfinder. 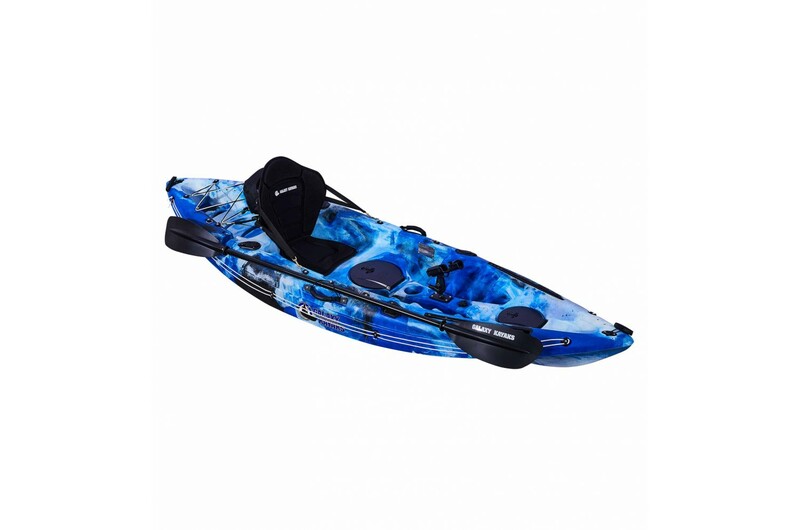 The smooth slide mechanism allows you to position multiple accessories at the exact distance you want them to perfectly adapt to your needs and paddling style. 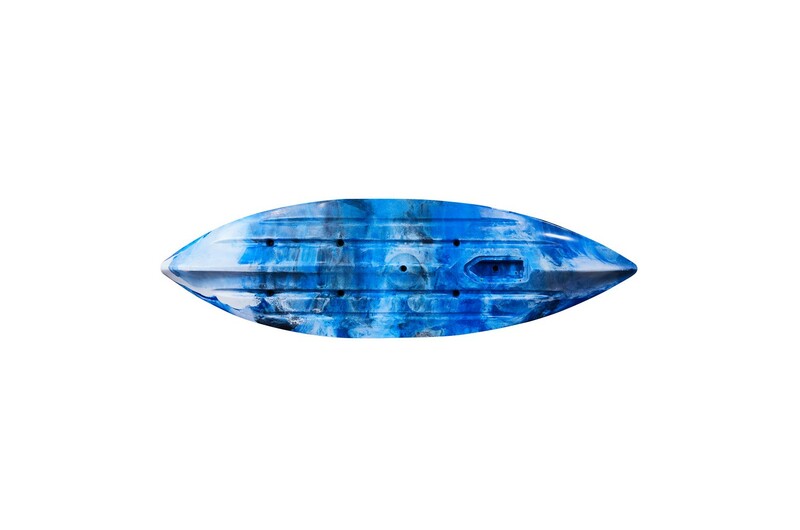 It also includes copper inserts for safely fixing Starports to the hull. 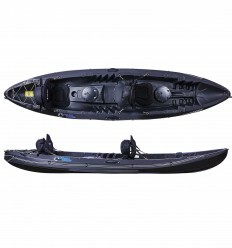 One horizontal insert at the front of the deck and a vertical at the back which allows for easy insertion of railblaza starports & sideports. 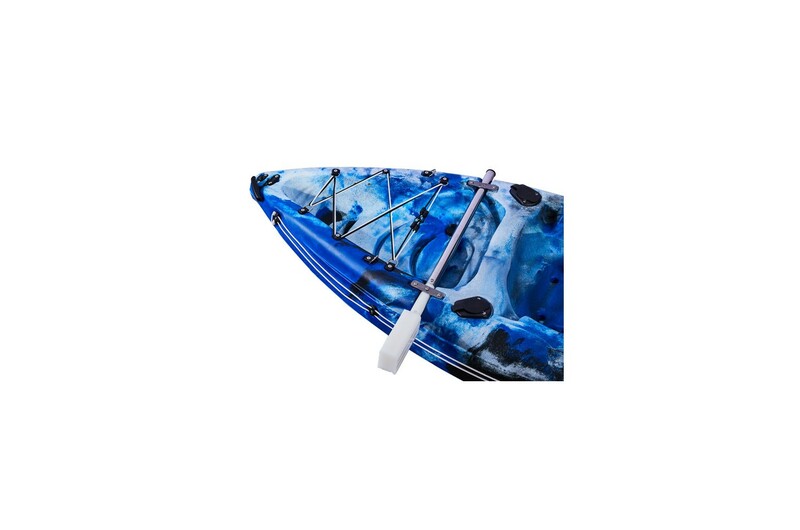 These inserts allow for easy and drill free installation of popular and even mandatory accessories (in certain regions), like the Railblaza Visibility Kit or Flagwhip at the rear of the kayak, or Cameraboom&Camera Mount in the front of the kayak. 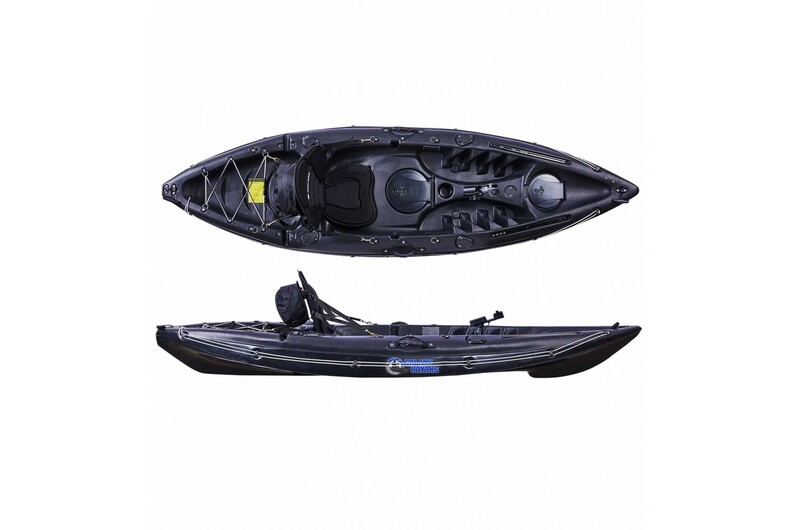 To get you started on your accessory journey, we’ve included one original Railblaza Starport with the Cruz Pro Angler as standard so that you can begin to accessorise your kayak with ease. 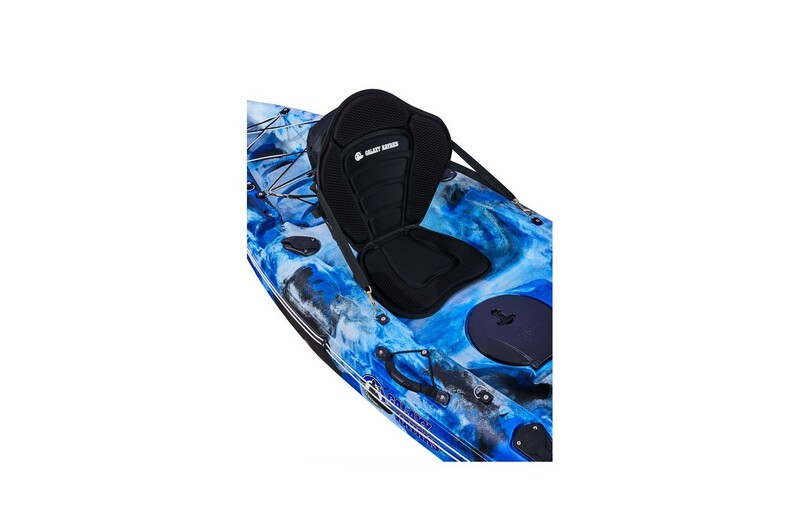 After listening to customer requests we have added mouldedinserts to the seating area so that you can add a Vista High Chair to the Cruz Pro Angler. Perfect for longer sessions in calm water! 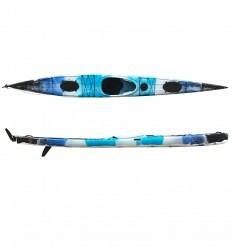 For added safety and an improved look we’ve decided to add three coloured lifelines and bungees for you to choose from. 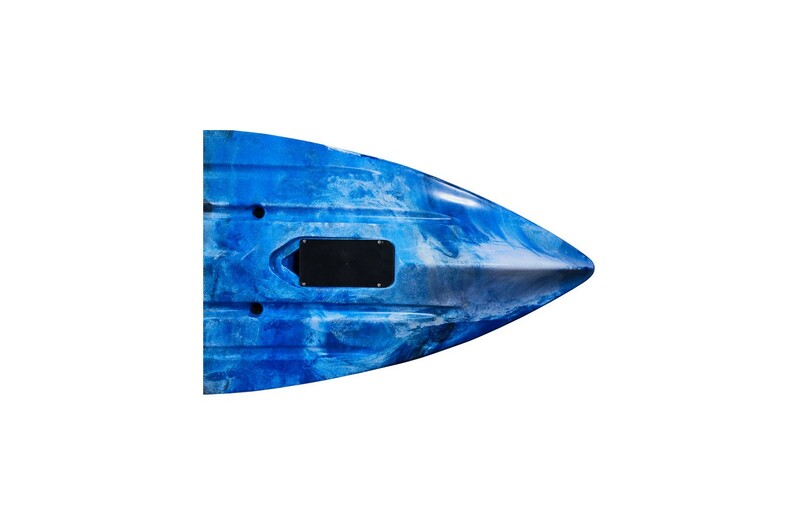 These colourful additions allow you to personalize the look of your kayak and also help you stand out on the water and be more visible to other boats. 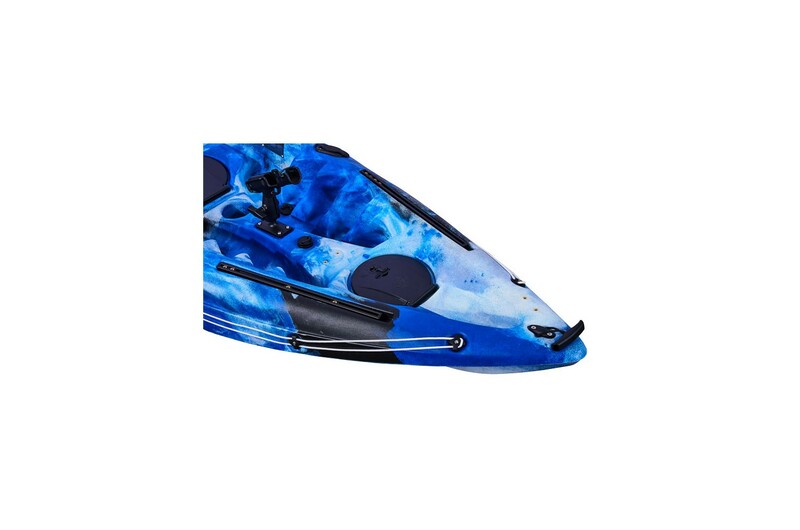 We have also increased the size of the transducer compartment to hold the ever increasing size of transducers. 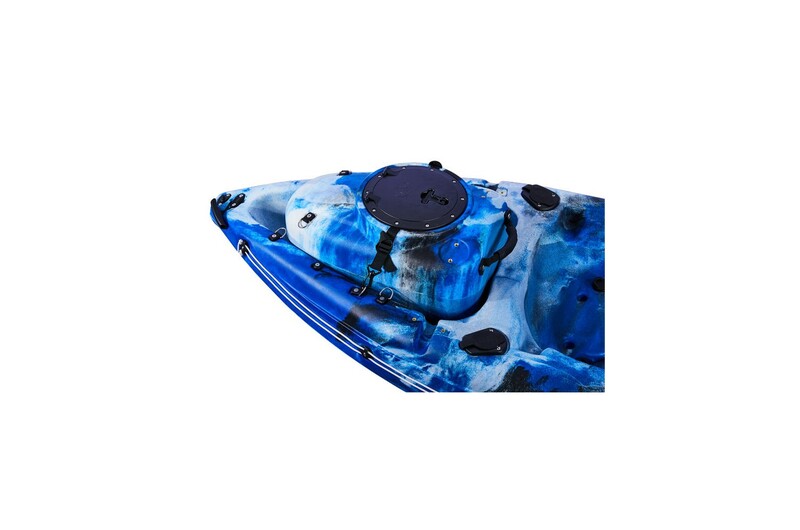 And as an added bonus you now also get a transducer cover which will help protect the transducer and streamline your kayak. 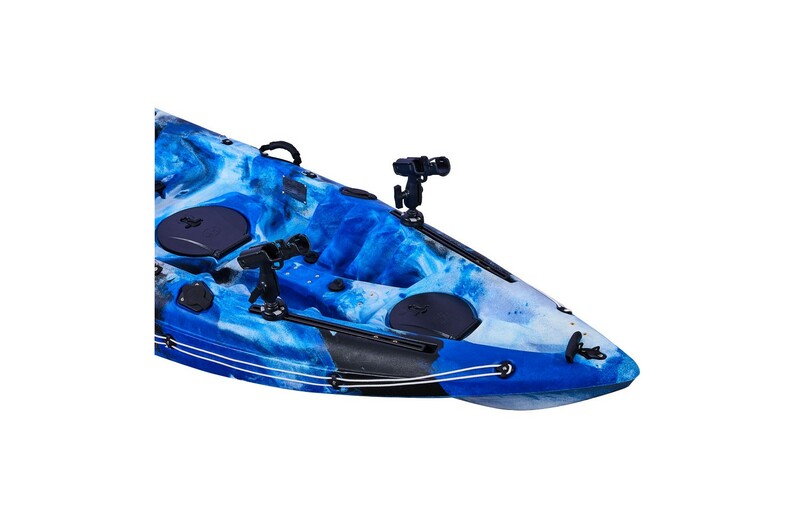 The Cruz ProAngler alsocomes with the standard four flush mount fixed rod holders and one swivel pro rod holder, which gives you ample choice for your preferred fishing setup. 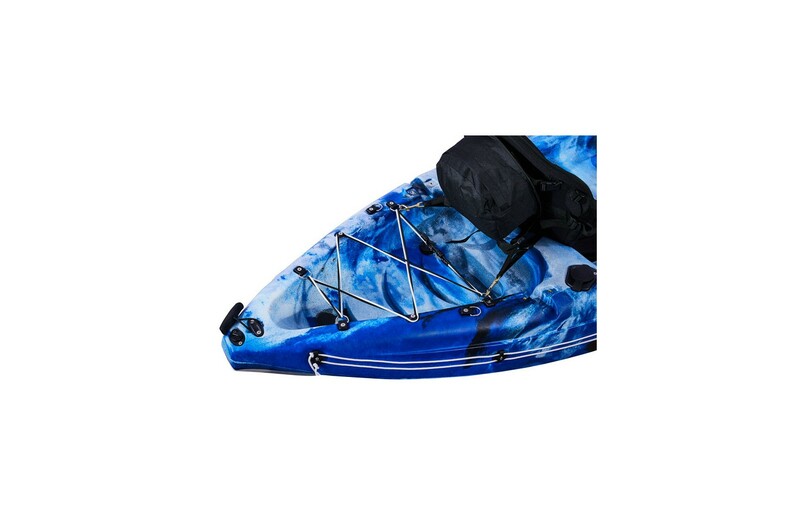 The front storage hatch gives access to the hull for storing any extra material not in use, as does the rear storage area that can now hold your equipment even safer with its numerous coloured bungee cords. 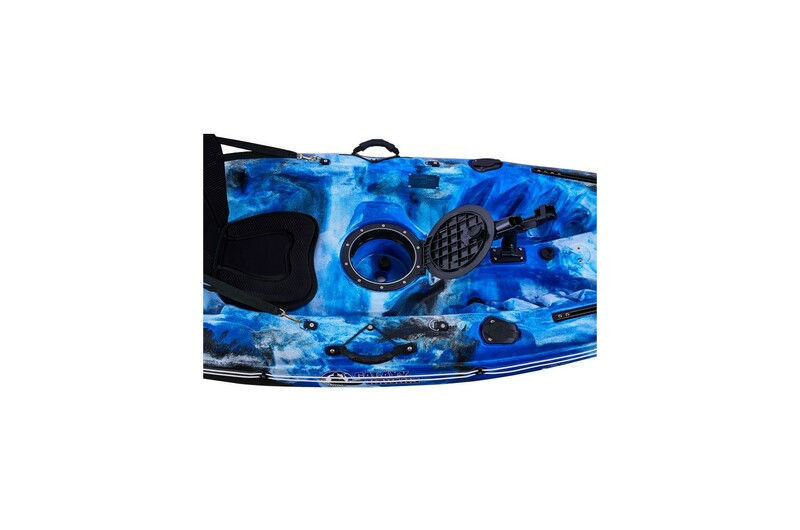 The middle hatch sets the Cruz Pro Angler apart from the competition as it comes with a tacklebox for your lures, hooks, weights and other smaller gear as well as a live bait well underneath. 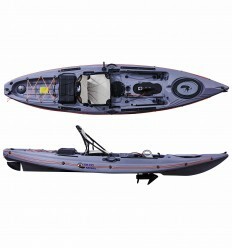 The Galaxy Cruz Pro Angler is the perfect kayak to get you onto the water and land your next big catch. 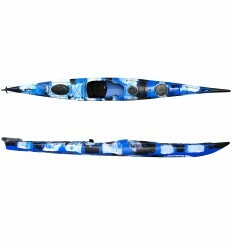 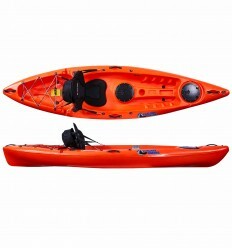 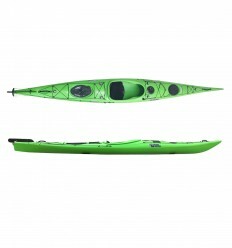 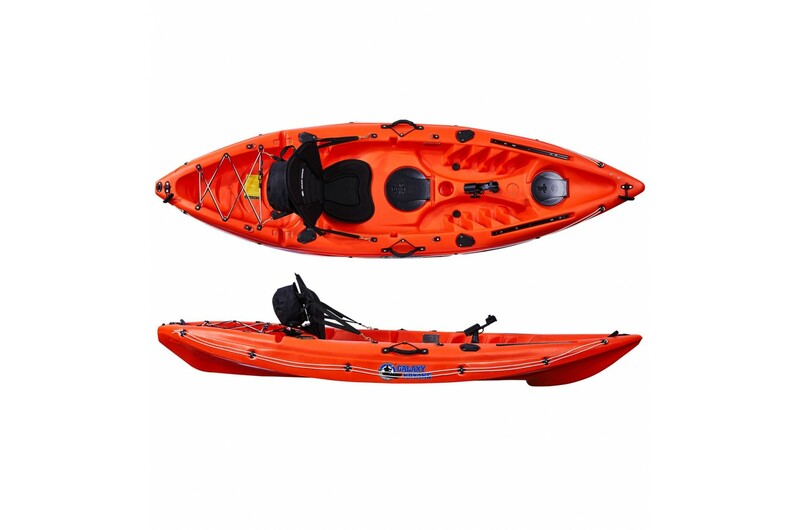 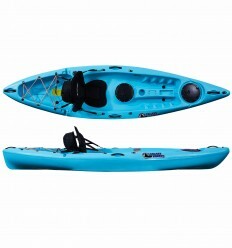 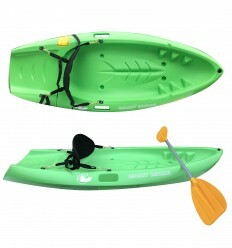 This kayak also comes with CE certification, which is the only one of its kind in its category. 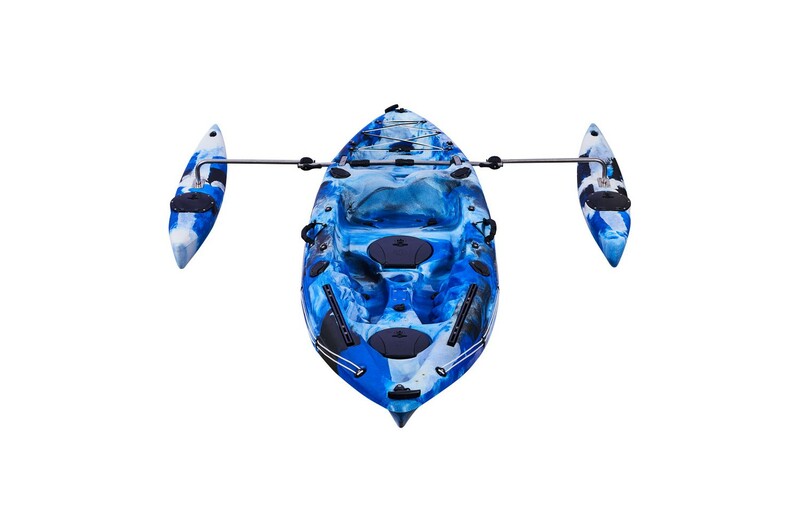 Like all Galaxy Kayaks, the Cruz Pro Angler comes with our three year guarantee and is fully equipped with a premium seat and a paddle so all you need is a lifejacket, and you’re ready for your next adventure! 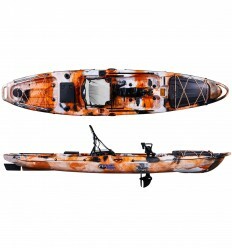 2 copper inserts strategically placed around your kayak. 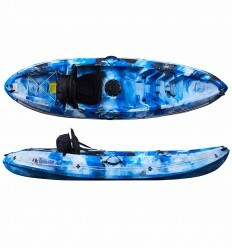 One insert has been placed at the rear of the kayak for the addition of safety equipment like the RailBlaza Flagwhip or Railblaza Visibility Kit II using a Sideport. 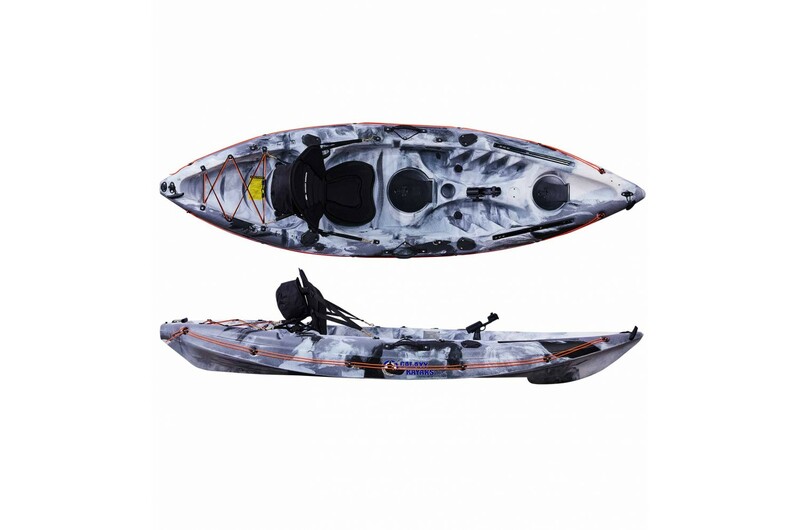 Another insert is placed in the front of the kayak for accessories like the RailBlaza Camera Mount and Camerabooms. 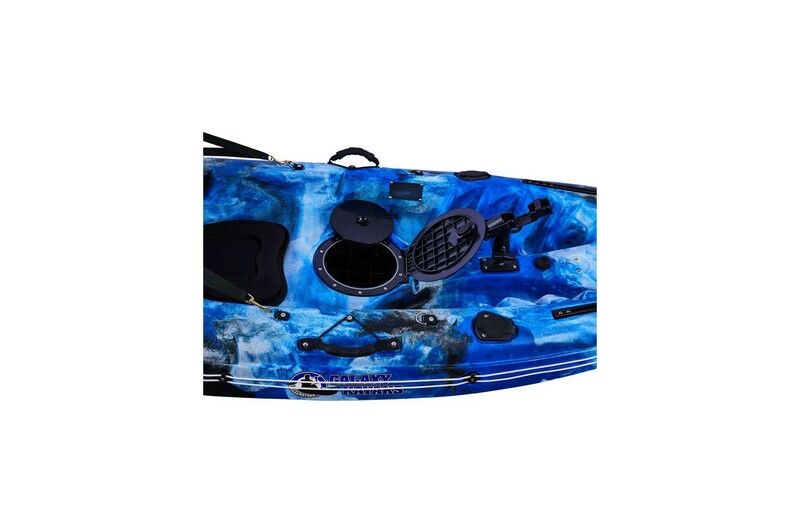 1 central storage hatch with a live bait well: comes with option to use as live bait-well for either a wet or dry setup (just choose whether to use scupper plug) and with hermetic seal. 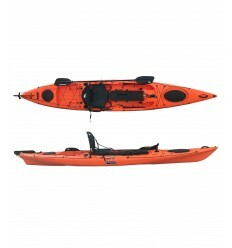 1 molded anchorage in rear of kayak: for the ability to place an outboard motor.